Secretary of State Mike Pompeo announced Tuesday morning the United States is expanding the Mexico City Policy, which bans U.S. taxpayer money from being used for abortions abroad, to include additional organizations supporting the life ending procedure. "Today I am making two announcements announcement about the State Department's ongoing efforts to ensure U.S. taxpayer dollars are not used to subsidize or promote abortions. The first announcement concerns the so-called Mexico City Policy. 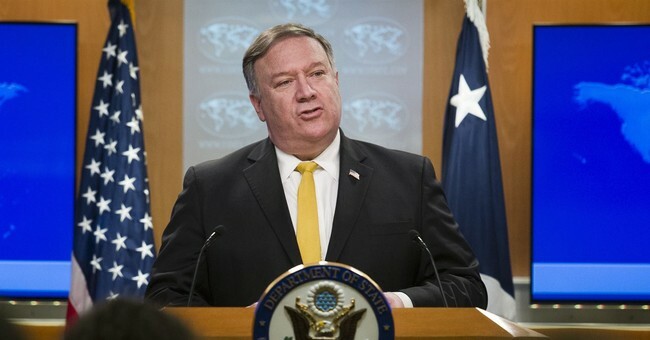 This Reagan-era directive ensures U.S. taxpayer dollars aren't used to support foreign and non-governmental organizations that perform or actively promote abortion as a method of family planning," Pompeo said. "President Trump boldly expanded the Mexico City Policy in 2017 and now protects every human life impacted by the nearly $9 billion of foreign aid we spend on global health programs each year and in turn protects more unborn babies around the world than ever before." "This is decent, this is right and I'm proud to serve in an administration that protects the least amongst us,” Pompeo said. "Now...we are also making clear we will refuse to provide assistance to foreign NGOs who give support to other foreign groups in the global abortion industry. We will enforce a strict prohibition on backdoor funding schemes and end runs around our policy. American taxpayer dollars will not be used to underwrite abortions." Pompeo also announced the enforcement of federal law banning the use of taxpayer dollars to lobby for abortion. Pro-life groups are praising the move.